The urban inflation rate increased by 11.64 percent (year-on-year) in October 2018 from 11.70 percent recorded in September 2018, while the rural inflation rate increased by 10.93 percent in October 2018 from 10.92 percent in September 2018. On a month-on-month basis, the urban index rose by 0.76 percent in October 2018, from 0.86 percent recorded in September, while the rural index also rose by 0.72 percent in October 2018, down from the rate recorded in September 2018 (0.82) percent. 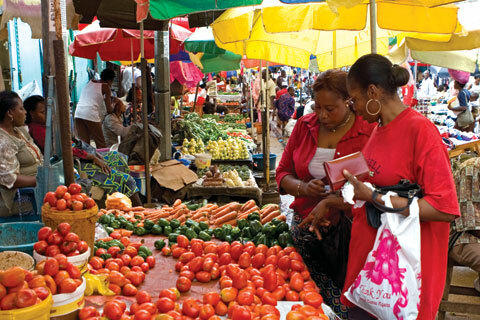 However, Nigeria’s Statistician General, Mr Yemi Kale, disclosed on Wednesday that food inflation jumped to 13.38 percent year-on-year in October from 13.31 percent in September, with the core inflation increased to 9.9 percent year-on-year in October from 9.8 percent. Inflation rate saw a little decline to 11.26 percent in the month of October 2018 from 11.28 percent recorded in September 2018. However, “In October 2018, food inflation on a year on year basis was highest in Bayelsa (16.36%), Abuja (15.85%) and Taraba (15.27%), while Bauchi (12.17%), Oyo (11.76%) and Plateau (11.36%) recorded the slowest rise in food inflation. Urban inflation rate stood at 11.64% compared to 11.70% in September and rural inflation increased to 10.93% in October from 10.92% in September 2018.